Carolyn is a social entrepreneur and Angeleno, born and bred, with the perspective of a historian and a futurist, and with the entrepreneurial spirit and the extensive experience and skills required to effect positive change. Carolyn has a thriving consulting practice that draws upon her leadership in the social sector and her service in senior administrative and fundraising capacities at nonprofit and academic institutions in both Los Angeles and Claremont. Current and past clients include the Getty's Pacfic Standard Time: LA/LA; the Arcadia Performing Arts Foundation, the American University of Iraq; the American Museum of Ceramic Art; Craft in America; and the Getty's Pacific Standard Time: Arts in LA. Previous positions include President of the Library Foundation of Los Angeles, Executive Director of the Kravis Leadership Institute at Claremont McKenna College, senior advancement positions at Claremont McKenna College and Scripps College, Associate Provost of Claremont Graduate School, President of Historical Perspectives, Inc., and Curator of the Natural History Museum. While Executive Director of the Kravis Leadership Institute, Carolyn was part of the team that developed the assessment methodology for the Kravis Prize in Leadership, which recognizes extraordinary accomplishment in the nonprofit sector worldwide. Carolyn has served on the board of trustees of Scripps College, the California Preservation Foundation, the Los Angeles Conservancy, and the Los Angeles Chamber Orchestra, among other organizations. She is a graduate of Scripps College and earned her Ph.D. from Johns Hopkins University in American Intellectual History. Her dissertation: The Boy Scouts of America: A Model and a Mirror or American Society, has been frequently cited by scholars, including historians in the field of masculinity studies. She was also the photography editor of the David Lavender book, Los Angeles: Two Hundred. Elise is passionate about social change – helping make change, the different channels for creating it and sharing the inspiring work of others. Currently Elise works for the Campbell Soup Company, specificially its Plum Organics baby food brand. Plum is a Public Benefit Corporation with a mission of providing the very best food from the first bit to all the little ones. Elise manages brand strategy and marketing of Plum's pouch products and advises on the company's mission. Previously, Elise was Associate Marketing Manager at Campbell's. A particular focus of her work is food ingredient transparency in labels. Before joining Campbell's, Elise worked in marketing at TOMS, the company that is transforming everyday purchases into a force for good around the world. With every product you purchase, TOMS will help a person in need. One for One. 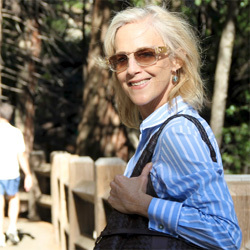 Prior to her work at TOMS, Elise worked in the nonprofit sector in Los Angeles. After several years working in social innovation, Elise earned her MBA with a focus on Sustainable Enterprise. Elise is a graduate of Mount Holyoke College with majors in Anthropology and French. Despite her current residence on the east coast, Elise is proud to call herself a fifth-generation Angeleno. 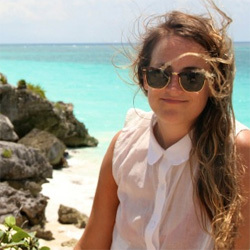 Emily-Rose is Content Director/Global Brand Marketing at TOMS. In that role, she leads TOMS' global storytelling efforts and content marketing from strategy to execution, across all media platforms. 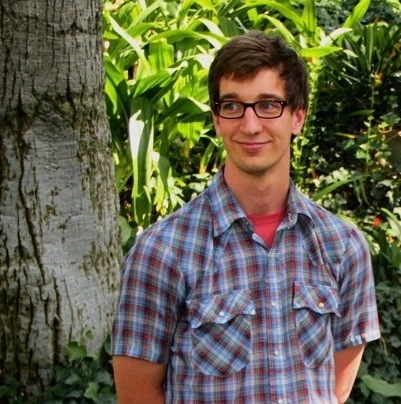 Previously, Emily-Rose was a Senior Producer at enso, a social impact media company in Santa Monica. She enjoys creating visually engaging videos that connect, educate and build a better tomorrow on behalf of enso's clients. She has produced, filmed and edited content for Google, PBS, SoulPancake and OWN. She has also created marketing videos for a range of clients, including Fendi, BeachMint and Josie Maran Cosmetics. In addition, Emily-Rose directed, filmed, and produced Home, a documentary about the importance of the public library to the homeless community in Downtown Los Angeles. Home received the award, "Best Short" at the Downtown Los Angeles Film Festival and was purchased by ITVS television. In her free time, Emily-Rose enjoys being outdoors, the ocean, roadtrips, and Mexican food. Philip is a Professor of Pubic Health at Drexel University in Philadelphia. He received his Ph.D. and M.P.H. from the UCLA Fielding School of Public Health and a B.S. from the University of North Carolina. Philip's research focuses on health literacy as well as the role of expanding technologies on participatory health communication and health promotion, both domestically and globally. He has over eight years of experience in global health and has lived and worked in Senegal, Niger, and French Guiana. His current research in West Africa examines health, media, computer, and digital literacy among Senegalese youth to better understand the health and information technology landscape as well as to inform future health-focused interventions that leverage new and digital media. Additionally, he is working with a Senegalese non-governmental organization to develop and evaluate a television serial drama on health and social justice that incorporates interactive components such as SMS and community forums to engage audience members. His future research agenda includes examining the intersection of health communication and behavioral economics. In his free time, Philip enjoys refining his culinary skills as well as his skills on the basketball court.